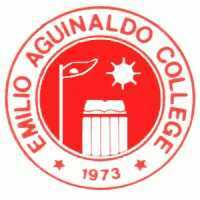 In keeping with the mission of the Emilio Aguinaldo College, the mission of the EAC Library is to provide comprehensive and up-to-date information at the time it is needed by the students, faculty and staff of the College. To provide information support through reference and referral services, document delivery services online access to the library's databases, and to offer global access to information through the use of computers and communication technologies in the access and delivery of information, and the provision of an adequate collection, and facilities. Been here before? Or just want to see what's the latest buzz, and latest info in this site? Then check out our What's New page.